Following hot on the heels of Resident Evil 6, Capcom bring us their next reverse order port to Xbox One and Playstation 4. In a flurry of remastered Resident Evil titles, Capcom bring us Resident Evil 6. Will it find a new found life on a new generation of consoles, or was it better off left for dead? Originally released in 2012 on Xbox 360 and PS3, Resident Evil 6 has been remastered in glorious 1080p at 60fps for Xbox One and PS4. This is the first of the planned releases for Resi’s second trilogy, with Resident Evil 4 and 5 coming later to this generation of consoles. What I’m struggling to understand is why Capcom have decided to release them in reverse order starting with 6. Also on the horizon is a full Resident Evil 2 remake due sometime in 2017, which leaves Resident Evil 3 and Code Veronica as the only mainstream entries not available on Xbox One and PS4. 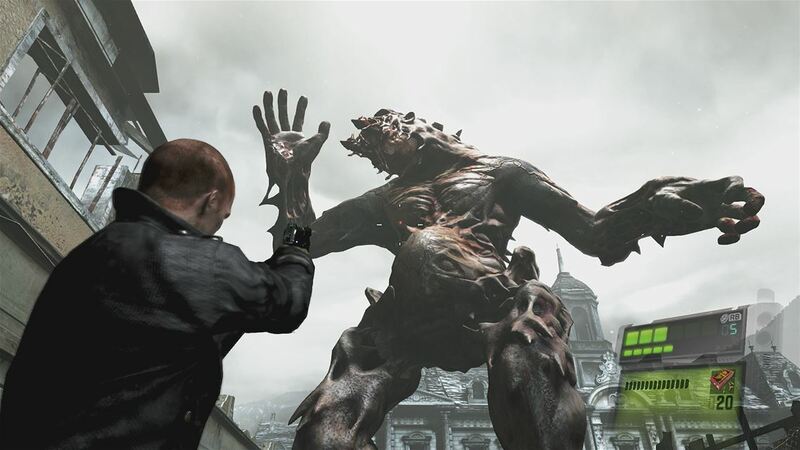 If you have previously played Resident Evil 6 then you will know exactly what to expect as the gameplay hasn’t changed. 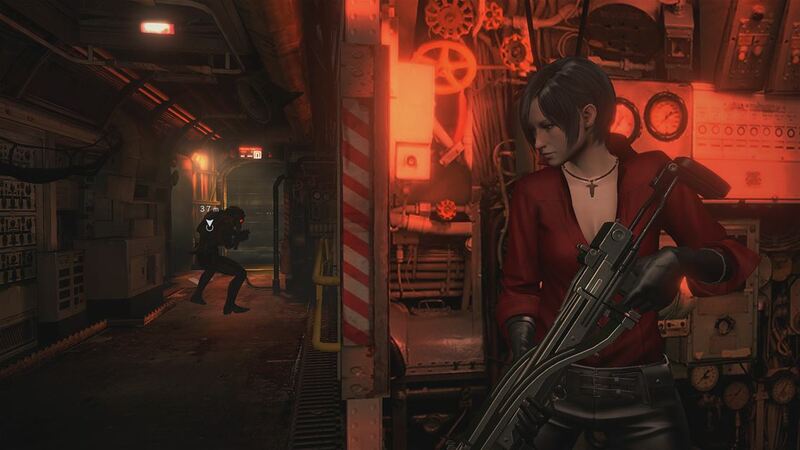 You choose from 4 different campaigns, all unlocked from the start, Leon & Helena, Chris & Piers, Jake & Sherry and the lone wolf Ada Wong (although she is paired with an agent to enable cooperative gameplay). All four stories intertwine to tell the confusing story of Leon being accused of murdering the president (while tracking the culprit behind the latest virus outbreak), Chris attempting to overcome a severe case of amnesia, Jake being the sought after carrier of the antivirus and Ada… well. It’s hard to explain without spoiling the story. Leon’s campaign is arguably the closest to classic Resident Evil, with Chris’ campaign easily the worst and feeling more like a poor man’s Call Of Duty with an obsessive amount of shooting that’s completely out of context. On the plus side, each campaign is around 8-10 hours each, aside from Ada’s which is a little shorter but gives the game its back story. You can only play one campaign at a time, which is frustrating as there is variety between all four stories and sometimes you feel the need for a change of pace. 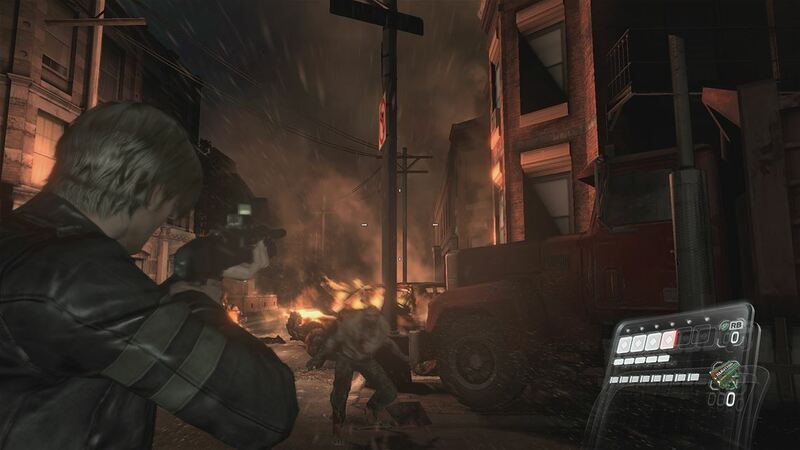 All previously released DLC is included; on top of the story mode is the option of ‘Mercenaries’ (the popular Resident Evil take on horde mode), the ‘Survivors’ death match mode, ‘Predator’ (where players take turns to take control of the monster Ustanak whilst the other players avoid capture, scoring points for survival time and landing attacks), and ‘Onslaught’ – a competitive take on horde and ‘Siege’ whereby you take turns to defend against a zombie attack, or even attack as the zombie. Take these online game modes with a pinch of salt, though; the lack of a community presence at th3e time of review renders them obsolete. Should the player base pick up, there is a generous amount of content for a bargain price. Capcom have done a good job of giving the game a lick of paint. The game runs smoothly, characters look realistic and the acting is believable. Environments are varied, detailed and atmospheric. Unfortunately the controls have barely been touched since the original so are still cumbersome and clunky. While a trademark of the series, they are no longer forgivable in this day and age. The concession of being able to walk and shoot is a welcome addition, but goes to prove my point – it’s taken too long for the feature to be finally included. The inventory system is slightly better than before, enabling the mixing of health-giving herbs and packing them into tablets to take on the fly. Sadly, everything else is unintuitive. 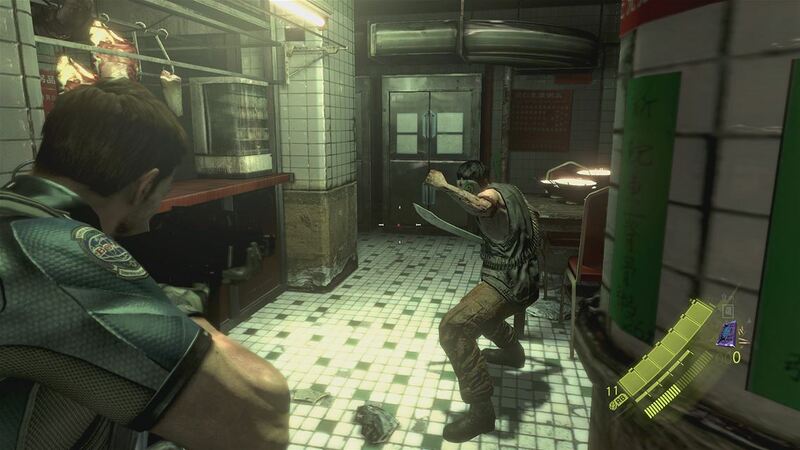 Changing guns in the heat of battle is a prime example; there is no quick select, and an obtuse system of pressing and holding down the Y button and using the analogue stick cycle through your guns until you find the one you’re looking for (while the game continues), is simply not practical enough in a game geared more towards action than survival horror. The ability to play through all four stories with a friend or through match making is done well and people can seamlessly leave or join whilst playing the game with no negative impact on your own game. To keep you on your toes there are quick time events (QTEs) throughout the game. While a matter of taste, personally I like the way QTEs don’t invite any passive down time during play. Putting your controller down for a minute might mean an unexpected game over. Sometimes they feel over used, such as when opening a door to reveal no emergent danger behind it, for example. Fans of the series were let down by Capcom’s decision to make this latest entrance to the series a more action packed third person shooter than the legendary survival horror of the original Resident Evil games (Zero through to Code Veronica). I would argue that perhaps one of the best entries into the series was Resident Evil 4, so Capcom are capable of making an enjoyable Resi with more action and less scares, but sadly this isn’t close to Resi 4’s high bar. It almost seems that Capcom is using the series as a cash cow after endless remakes and the upcoming spin off ‘Umbrella Corps’ it leaves me fearing for the series future. As a diehard Resident Evil fan since way back on the original Playstation in 1996, I felt massively let down by Resident Evil 6. It’s simply a mediocre action game unsuccessfully chasing the market rather than furthering the cause of its own franchise. If you’re looking for a more authentic Resident Evil game, try Revelations 2 instead. Resident Evil 6 was better off left for dead.